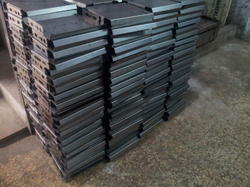 Manufacturer & Exporter of Sheet Metal Parts. Our product range also comprises of Sheet Metal Parts and Metal Hinges and Powder Coating Services. We are a trustworthy name in offering precession designed Sheet Metal Parts.Manufactured as per the client's specifications and requirements, Being offered in cost effective prices, these are widely demanded across the industry.